Born in Moscow in 1945 year. Graduated with honors from the Moscow architectural College, graduated with honors from the Moscow architectural Institute. In 1975 graduated from graduate school of Moscow architectural Institute, with a thesis on the topic “spatial organization instructional theatres». From 1978 onwards, she teaches at the Moscow architectural Institute as Professor. 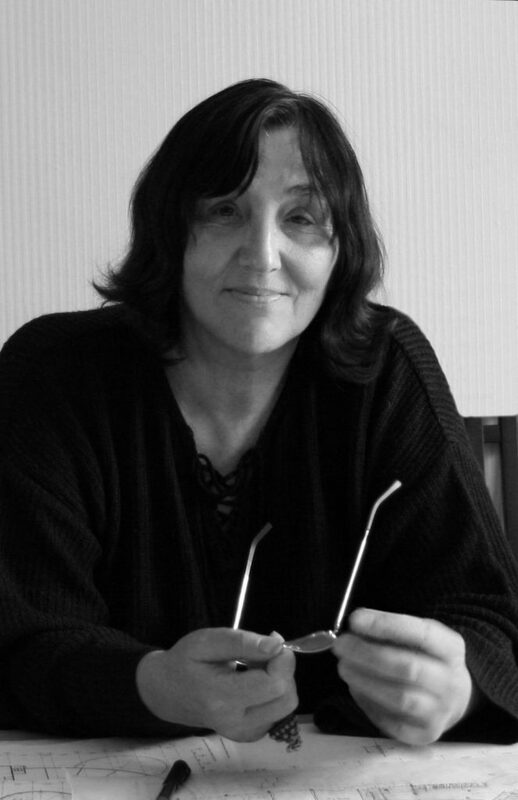 She is author of the textbook “architectural design” (“Academy”, Moscow, 2009). Candidate of architecture, Corresponding member of the Russian Academy of architecture and construction Sciences. From 1992 onwards combines teaching with project leadership workshop «Partnership Theatre architects». Main buildings – renovation of MHAT Chekhov in Kamergersky lane in Moscow. 1998, low-rise residential complex of Rozhdestveno in Moscow, 2000, Russian cultural center on the arrow near the Krasnoholmsky bridge with the Moscow International House of music and hotel 2002, Theater-Studio of P. Fomenko, 2005., multifunctional residential complex in Marino, Moscow, 2007, Theatre and concert Centre in Yaroslavl, 2012, the administrative center on Preobrazhenskaya Square in Moscow 2012, Russian Drama Theater in Grozny, 2013, the administrative building of the Mining University in Moscow. «Honored architect of Russia» since 1998. Professional awards. The diploma of the second Russian Festival “Architecture”-94. Review of the best architectural works 1992-94, Russian national architecture Award “Crystal Daedalus”, 2003. Gold diploma, Russian Festival “Architecture” on the 2005 review of the best architectural works 2003-2005 г., Medal of the Russian Academy of architecture and construction Sciences, 2006, World Triennial of architecture INTERARH . Special Prize of the International Union of architects and the silver medal for the High-rise hotel in Moscow 2006, diploma of the Russian Academy of architecture and building science in the competition for the best scientific and creative works in the field of architecture and building science 2010, diploma and silver medal of the Russian Academy of architecture and building science in the competition for the best scientific and creative works in the field of architecture and construction Sciences, 2015. Laureate Prize of Moscow for Moscow International House of music 2005 year. Laureate Prize of Moscow for the Theatre-Studio of P. Fomenko 2008 year. Laureate of the State Prize of the RUSSIAN FEDERATION for the design and construction of the theatre – Studio of P. Fomenko. 2008.